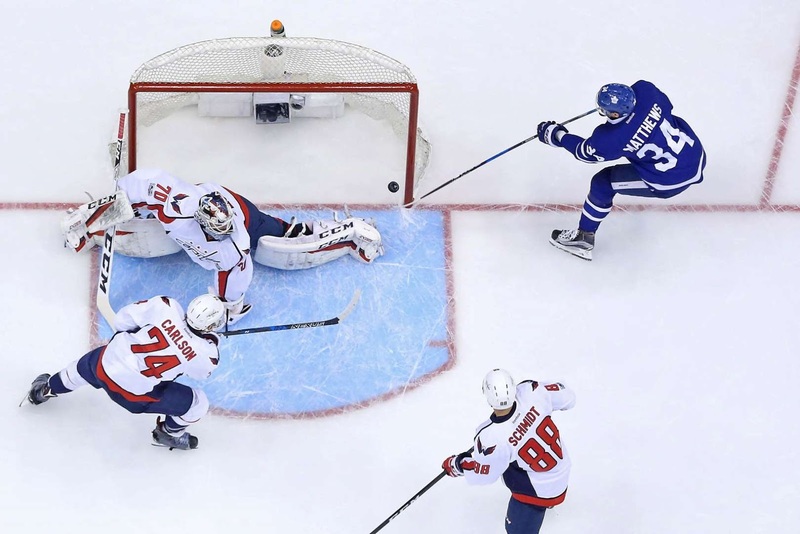 The Maple Leafs center Auston Matthews, right, puts the puck past the Capitals goalie Braden Holtby as Leafs beat the Capitals in overtime on Monday in Toronto. The Leafs won 4-3. Gone through The Maple Leafs center Auston Matthews, right, puts the puck past the Capitals goalie Braden Holtby as Leafs beat the Capitals in overtime on Monday in Toronto. The Leafs won 4-3.